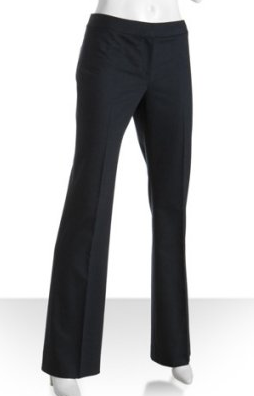 Flare legged denim is super chic, but how about some fun flare legged pants for work? This Elie Tahari pair in navy looks tres flattering and they're on sale! Buy at Bluefly for $119.